Regulary FR-readers will know that the last X-E1 deal was supposed to expire on October 23rd. Well, actually the deal expired, but not for all X-E1 combinations and not in every store. – Adorama has still both combinations, the black and the silver kit $200 off and you get also 6% reward! 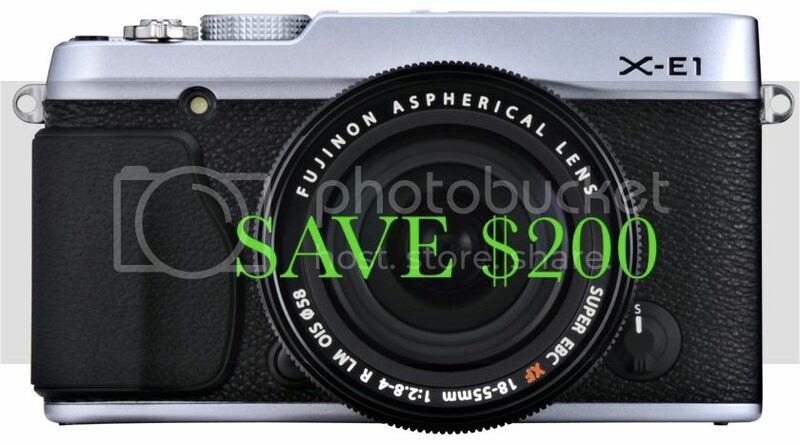 – BHphoto has only the silver X-E1 kit $200 off at the moment. But they bundle it with the Ruggard Streak 25 Shoulder Bag (Black with Yellow Accenting) SanDisk 16GB SDHC Memory Card Ultra Class 10 UHS-1. You’ll save $56 and get also 4% reward! – AmazonUS is also offering just the silver X-E1 kit rebate (with 2% reward). 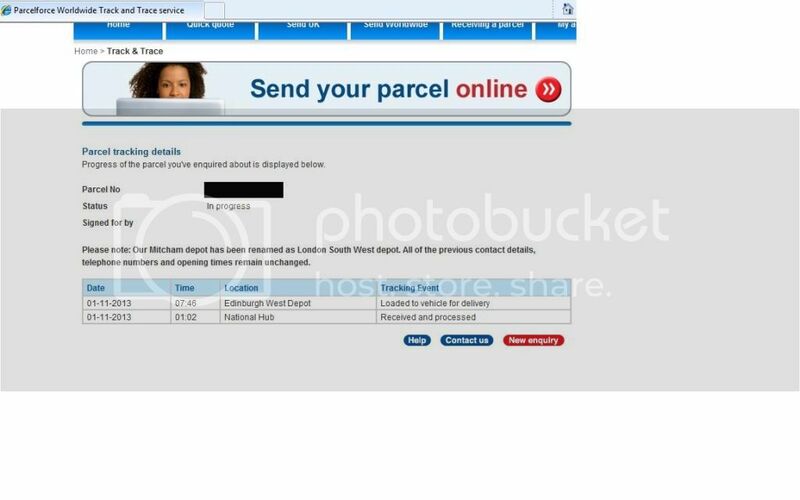 Top rated ebayUS reseller cameraland sells the X100S for $1,159. You’ll save $140! Only 9 available at the moment. Feel free to use the links in this post to purchase your gear. A small commission goes to Fujirumors. It won’t cost you a penny extra and you’ll support this blog and keep this site running. Thanks. 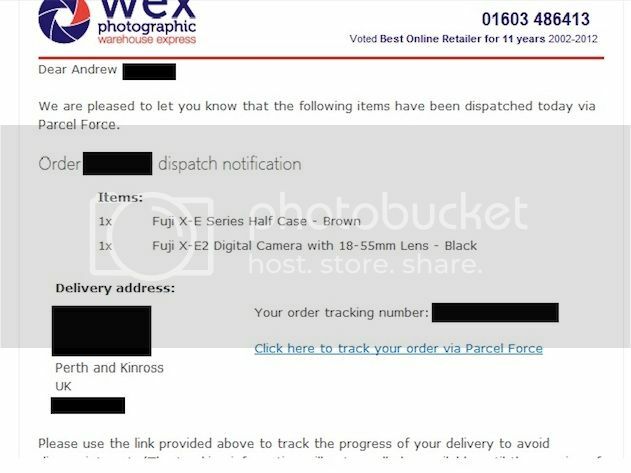 Dispached: wexphotographic (UK) already shipping the X-E2 (and also in stock)! XF23mm, X-E2 and XQ1 samples and hands on review. 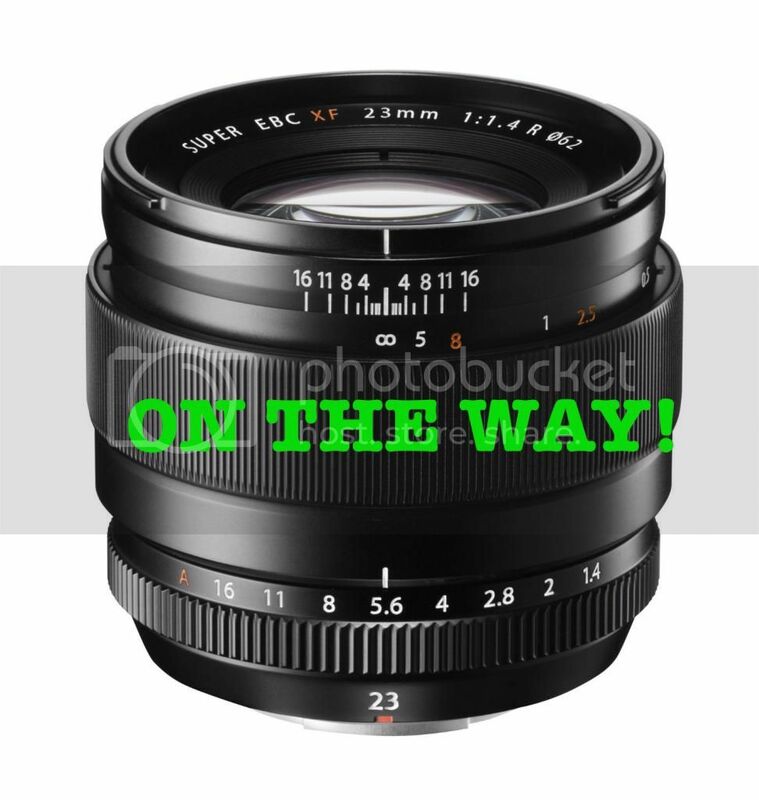 – XF23mm samples at brandonremler here. – The X-E2 at yodobashi.com here (translation). – Portugal, a wedding and the X-E2 here (translation). – Some shots taken with the X-E2 by mingthein here. – Samples at letsgodigital here. They both say: Fuji will launch a weather sealed camera. – The trusted Japanese source said it will feature an APS-C X-Trans II sensor. – The „long time“ trusted source said it will have a big high-performance EVF. So, to everyone wondering what camera Fuji could squeeze between the X-E and X-PRO line… the answer is: a weather sealed X! And it should be announced at the CES in January! 1) Buy your gear here: If you purchase your gear using my shoplinks, this blog gets a small commission that helps to keep this site running… and you won’t pay a single penny extra on your gear if you choose this way to support Fujirumors. 2) Share rumors: I’d love to tell you more about this weather sealed X as soon as possible. I will give my best… but I need also your support. If you have some relevant and reliable information, feel free to share them with Fujirumors. 3) Social networks: I’ve you are one of those who like to stop by this blog, you could consider also to like us on facebook, spread the word on twitter and add us on google+. 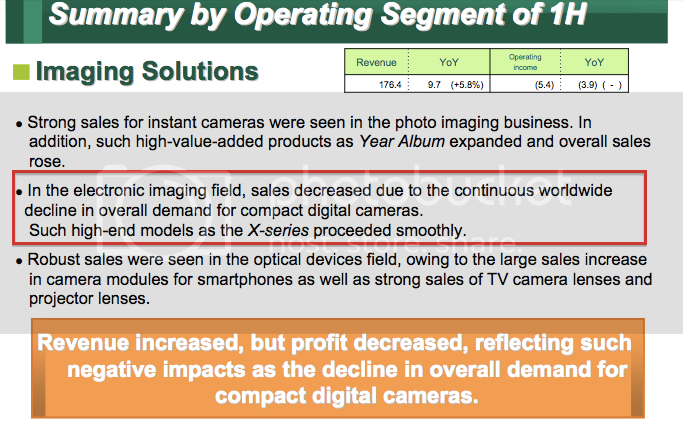 In short: Point&Shoot is dead… but the X-series sales are good! 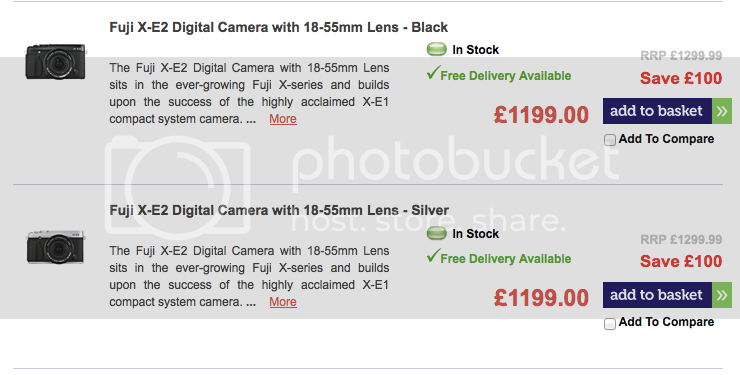 Fujifilm will more and more focus on the X-bodies and XF-lenses “whose market is expected to be growing“. Earnings Presentation Materials here / Earnings Release here.